An invitation is the first look that your guests will have of your wedding day, why not do it as delightful as you have planned that day to be? 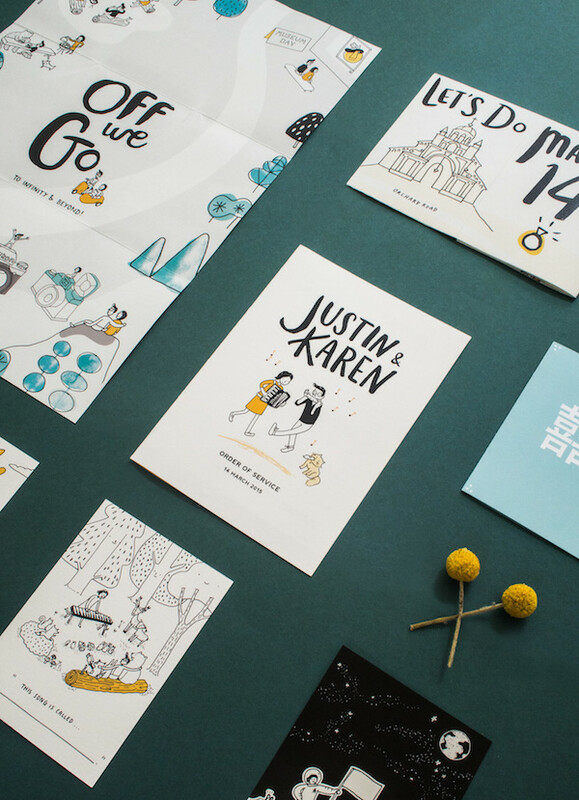 Xinnie is an illustrator and graphic designer that has created an extraordinary wedding invite full of illustrations that show the loving relationship of Justin and Karen. 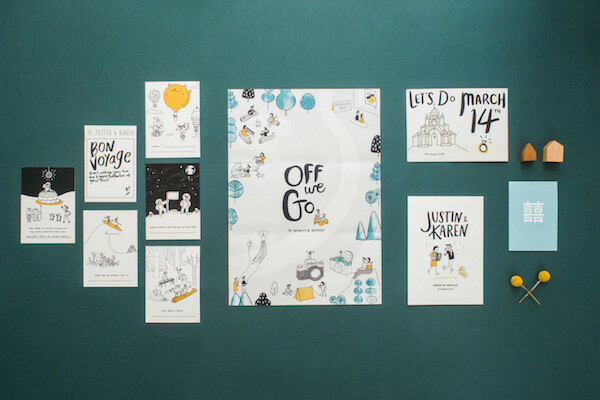 This creative illustration unfolds to provide more details about the wedding, from the RSVP deadline, to the parking spaces and of course the dress code. 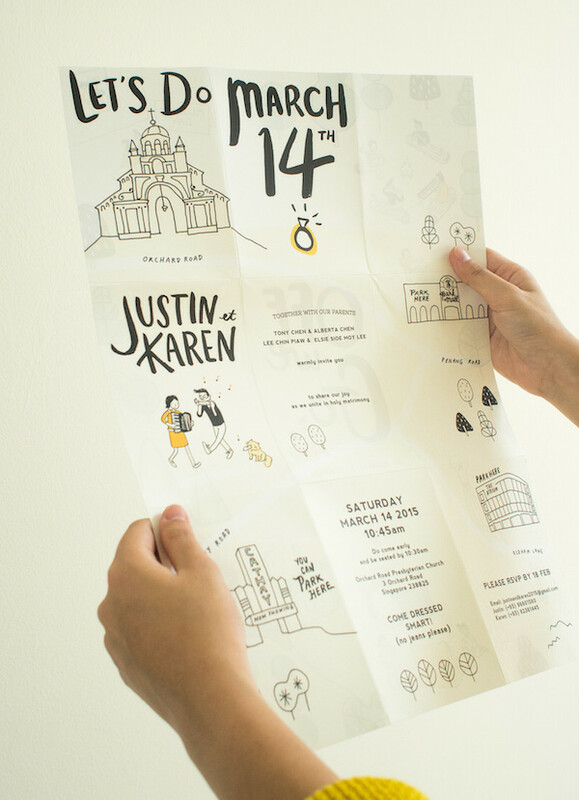 Once unfolded, if you flip your invite to see the back side of it you will find your self holding a poster with hand-drawings of the couple’s favourite activities, it also includes illustrated note-cards where the guests can fill in the blanks to complete sentences about the lovely couple. 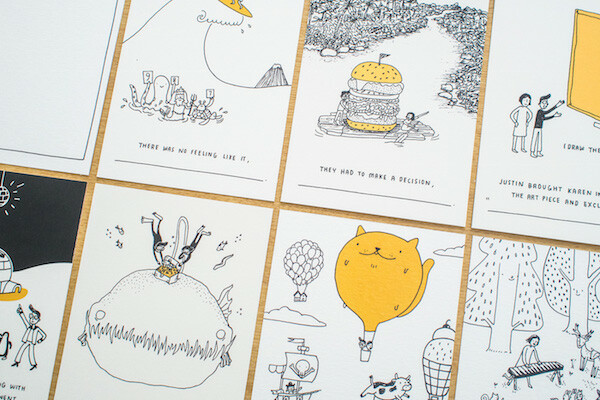 What a clever and interactive way to give your guests a time of joy when receiving your wedding invite!